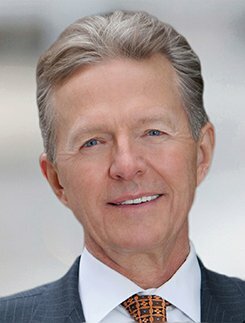 From 40 years managing complex commercial litigation Kenneth Bennington brings to the dispute resolution a perspective founded on that experience. As a senior member of the bar he has spent decades immersed in the same issues in which he is now assisting as a mediator, arbitrator and special master. Having been a trial lawyer he understands that while the successful resolution of commercial disputes requires a grasp of the law and facts, it hinges in equal measure on an understanding of where the parties are coming from as well as on persistence and follow-up in getting the dispute resolved.Having specialized in complex litigation he knows the pressures, risks and economics in play in the resolution of difficult business disputes. In particular, he understands the costs and benefits of alternative dispute resolution and the positive as well as the sometimes destructive role discovery can play in fairly and economically resolving the dispute. Mr. Bennington represented diverse clients in litigation regarding real estate acquisition, finance, conveyance, development and management.He also represented financial institutions, lenders and real estate professionals in foreclosures, collection and receiverships, including secured and unsecured creditors and lien claimants in workouts, debt restructurings and priority issues. Mr. Bennington’s experience in litigating construction defect disputes included both commercial and residential construction. On the commercial side, he handled roof failures, building envelope and elevated deck failures, as well as HVAC defects. He also handled site grading and drainage issues most often relating to expansive soils in foundation, slab and asphalt failures. In residential construction, the issues were much the same, including roofing, stucco and foundation failures in single unit construction as well as in multi-unit disputes over mass foundation, slab and asphalt failures. Although in most instances he represented plaintiffs, he also represented construction company clients, defending under self-insured retention or occasionally as appointed by the client’s carrier. His employment experience included counseling and litigation of claims involving hiring, promotion and discharge practices, non-compete agreements, wage and commission disputes and trade secret violations. In those areas, he represented employers and individuals in diverse sectors including banking, accounting, telecommunications, IT, manufacturing, construction, real estate, transportation and retail.